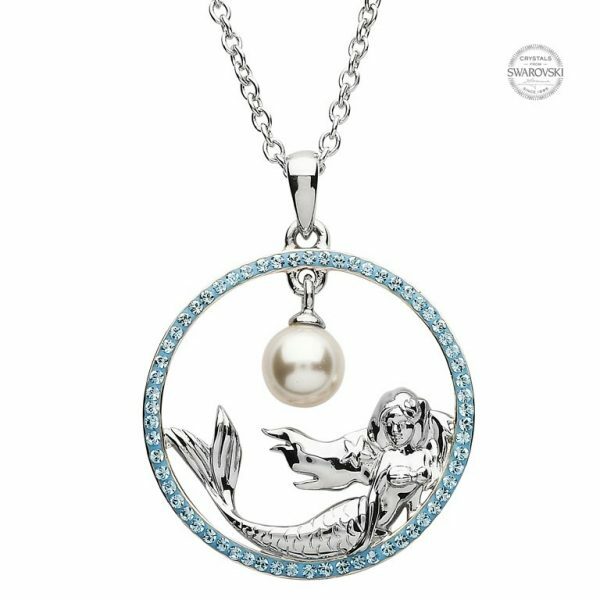 Crafted in Sterling silver and embellished with sparkling aquamarine blue Swarovski® crystals and a perfectly round white Swarovski® pearl, its pendant features a graceful mermaid reclining inside a circular ring edged with a row of tiny Swarovski® crystals in aquamarine blue. A flawless lustrous pearl hangs above the mermaid. A thin silver chain threaded through a simple bail offsets the pendant beautifully. The mermaid symbolizes feminine grace, the pearl signifies purity and healing, and aqua crystals evoke the mystique of seas. In this charming necklace, they come together to make the perfect adornment for a graceful lady. 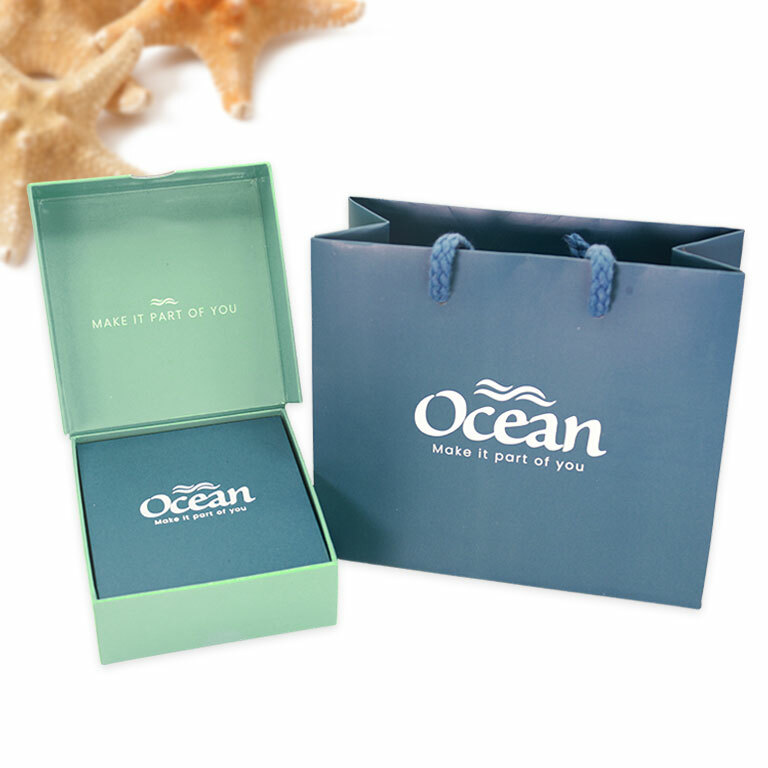 The aqua mermaid pearl pendant necklace is a lovely accessory to enhance your evening wardrobe. Crafted with Sterling silver, sparkling blue Swarovski crystals and a lustrous white Swarovski® pearl, it features a mermaid inside a blue bejeweled ring. Wonderful and womanly, this necklace is all about feminine grace.